Daraz is hosting Pakistan Day Sale from March 18th to 23rd, offering discounts across all categories with additional discounts through Daraz Wallet and Shake Shake. Daraz Launches Cars This Pakistan Day Sale With Big Discounts Starting From 18th March. 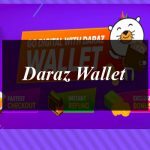 Daraz is hosting Pakistan Day Sale from March 18th to 23rd, offering discounts across all categories with additional discounts through Daraz Wallet and Shake Shake.